BINH DUONG, VIETNAM – Opened in October 2016, Dai Nam Racecourse was created to boost tourism in the Dai Nam tourism park complex, 24.8 miles (40 kilometers) away from Ho Chi Minh City. With such a huge space, it was critical that audio coverage was even and clear throughout the Racecourse. Local systems integrator and HARMAN distributor, Ba Sao Investment, took on the responsibility of installing the audio system for Dai Nam. The completed racecourse boasts an impressive lineup of technology, with 52 JBL AWC82 taking responsibility for main audio coverage within the stadium. Two JBL PRX710 speakers were installed for monitoring purposes, within the control room. 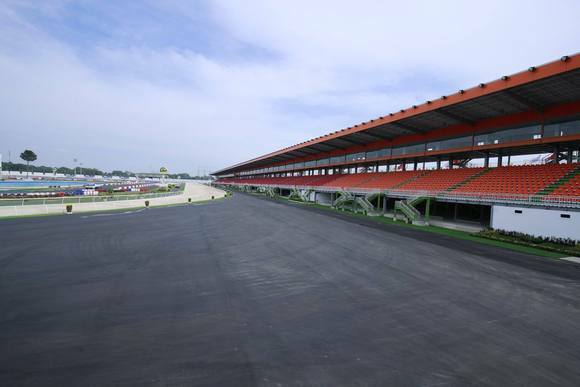 Four AWC129 units were placed for coverage at the entrance of the racecourse and parking area. Driving the speakers are 15 units of Crown CTs2000 and one CTs3000. Both the AWC82 and AWC129 are highly weather-resistant speakers that offer 1200 x 1200 dispersion and 900 x 900 dispersion respectively. Both speakers offer extraordinary clarity for speech, with extended frequency response for music, which is exactly what the Racecourse required.